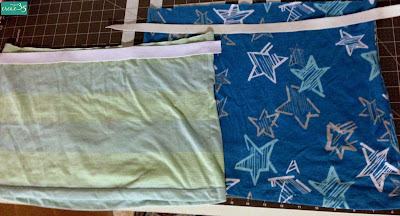 When I first started sewing, I was into baby blankets and accessories, so upcycling didn't cross my mind much. Buying new fabrics was too much fun! Just measure the length you want the skirt to be (plus the waistband - elastic size + 1/4" or so). Custom fit elastic by wrapping it gently around child's waist, then subtract 2 inches. 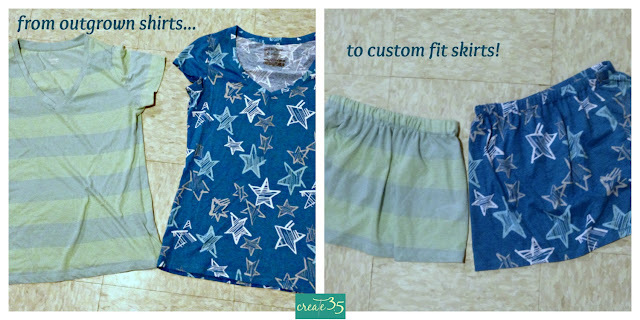 One of the best upcycles is cutting up old t-shirts to make little skirts for my girls. 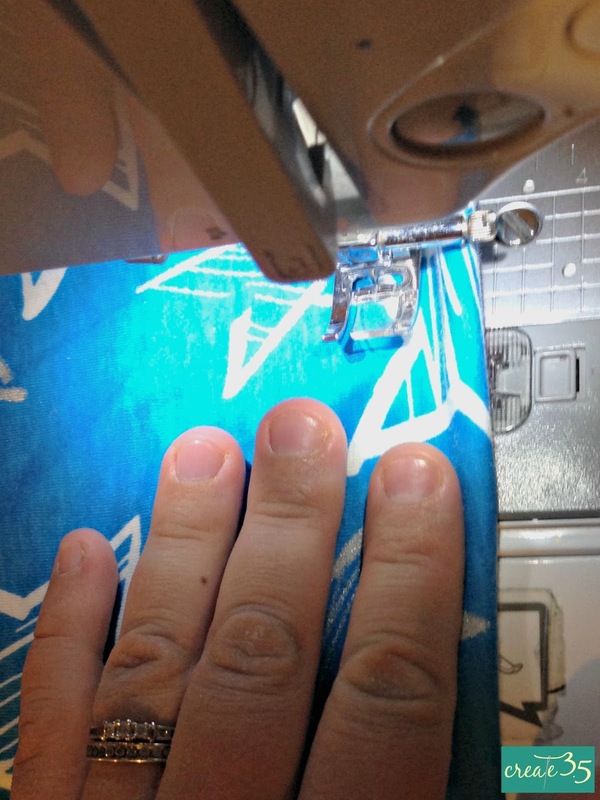 It's really instant gratification sewing - using the existing hem on the t-shirt makes it twice as fast as any other skirt, and all you have to do is make a casing, pop in some elastic, and you're done! 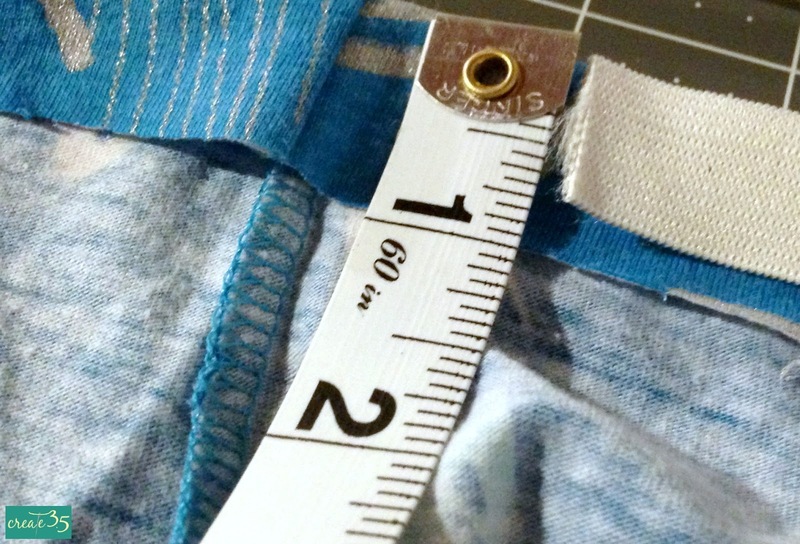 I can vary the length of the skirt by how much of the t-shirt I cut off, and the tops are great for saving for shirt sleeves, doll clothes, or knit scraps for stuffing pillows or stuffed toys! 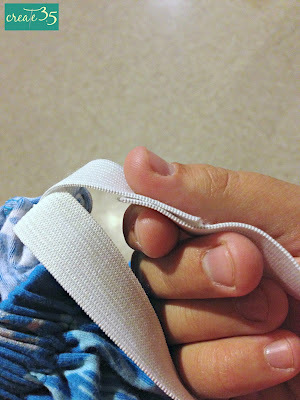 measuring the waistband for 3/4" elastic. 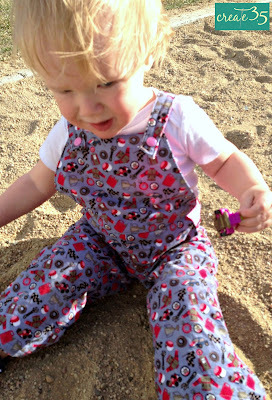 With a pair of Summer Shorties (free pattern alert!) 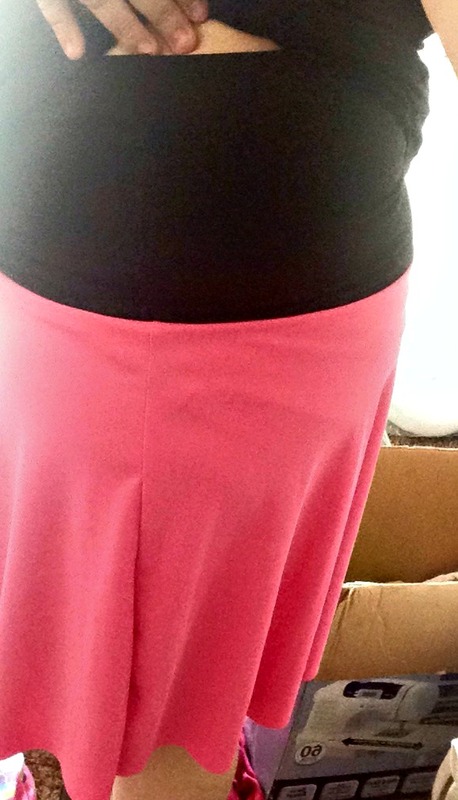 or some simple leggings, these quick and simple skirts are perfect for any weather or activity! find the edge of the fabric. one side over the other so it will lie flat! in the waistband! Use a slightly longer straight stitch, and make sure you backstitch the ends! 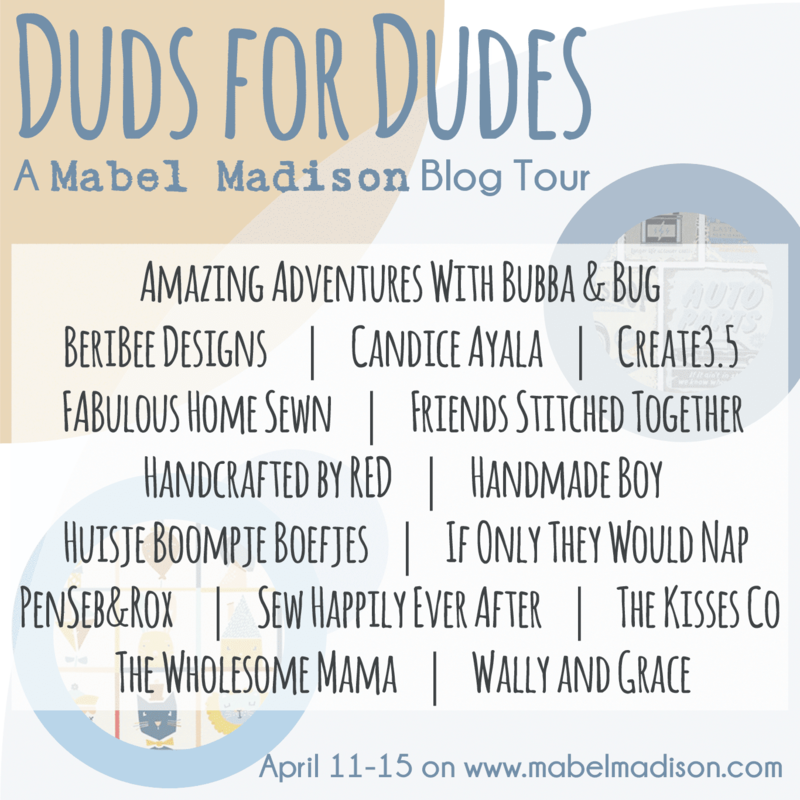 April 18: Vicky Myers Creations - Coral and Co.
Mabel Madison's Duds for Dudes! I'm so excited to be on the Duds for Dudes blog tour for Mabel Madison! Here's the thing: I've been hoarding this fabric for almost a year. 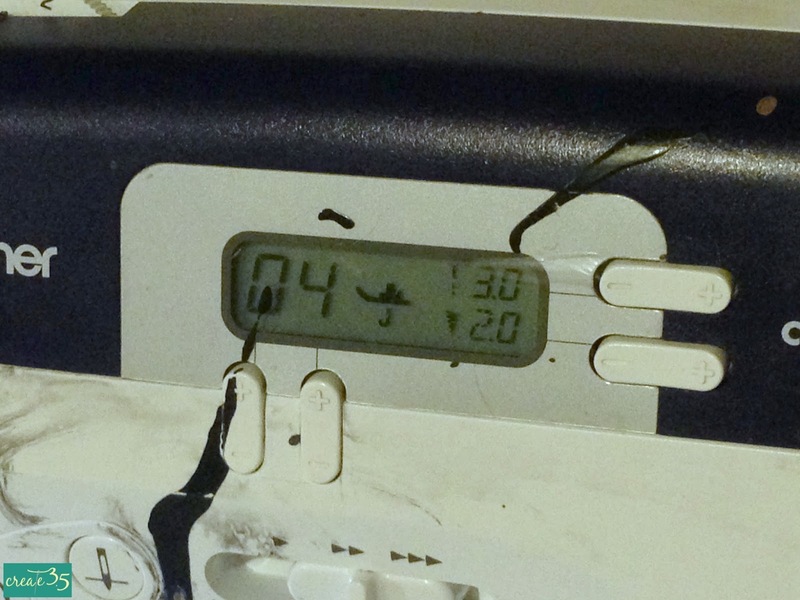 I bought it last May, thought about what to do with it...and then a week ago finally decided. Actually, I'd decided on overalls some time ago. But as is common in my universe, one thing after another got in the way. When a spot opened for the Duds for Dudes tour, I decided it might be the kick I needed to use this Pit Stop corduroy! And I'm sooo glad I did. 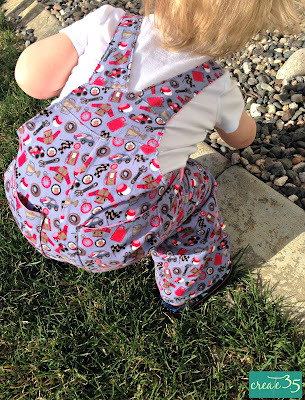 I sewed up Peekaboo Pattern Shop's Okey Dokey Overalls, opting to leave off the front pocket and hardware and use simple pink snaps instead, and I lined the back pockets with solid pink instead of hemming them. I like this pattern for its simplicity and classic look, as well as speed and ease of construction. It's a fine wale, so it's easy to maneuver through the machine - unlike some clunkier corduroys I've used, this Stenzo doesn't bunch and catch in the machine. 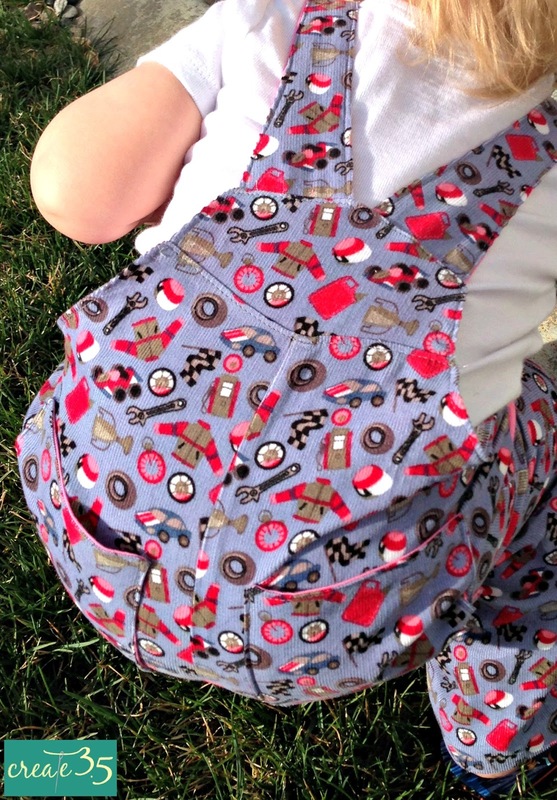 It glides through as easily as the quilting cotton I used for the facings and pockets. I didn't even change to a bigger needle! Soft and light, it's perfect for spring weather - not too heavy, but warm enough to keep out Wyoming wind. Despite the lightness, it's strong, so I don't have to worry about Ethan getting dirty and roughing it in the rocks! 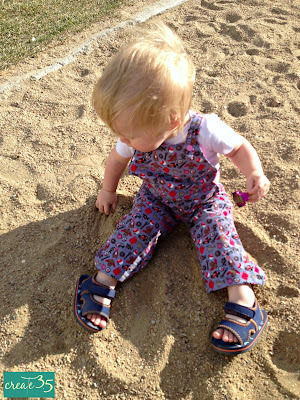 He had a blast running around the playground and throwing sand, and was comfy and stylish too! I love the pops of pink in this colorway, but there's also a green version here. 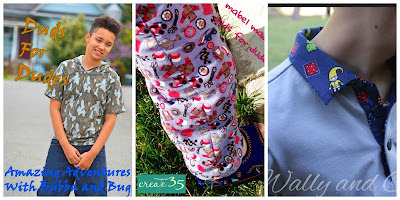 Mabel Madison is really thrilled to host a week-long blog tour focused on sewing for BOYS! Every day this week, you'll have a chance to visit with a few of our friends and see what they have made for their boys. Hey! 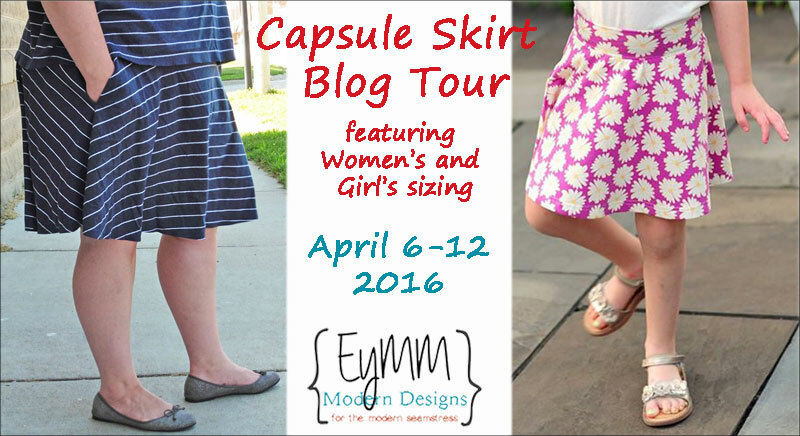 I'm on the Capsule Skirt blog tour today for Everything Your Mama Made (and More!) sharing a rare sighting - me, sewing for ME! 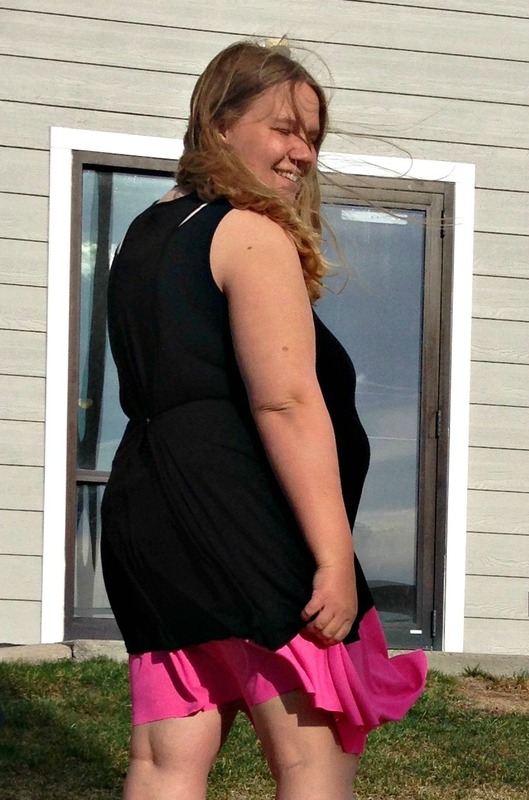 I stepped out of my clothing comfort zone, and I couldn't be happier with the result! Plus, the color is perfect for the spring that seems to finally have arrived! The Capsule Skirt is a fast (even printing/taping a pattern that goes up 5x - the pages are no trim and go together very quickly!) 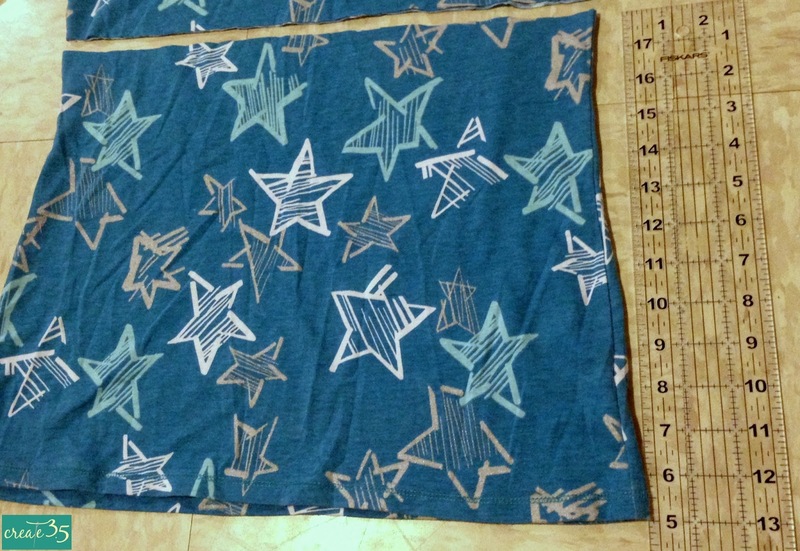 easy pattern to sew up, and takes a refreshingly small amount of fabric, even for my 2x. 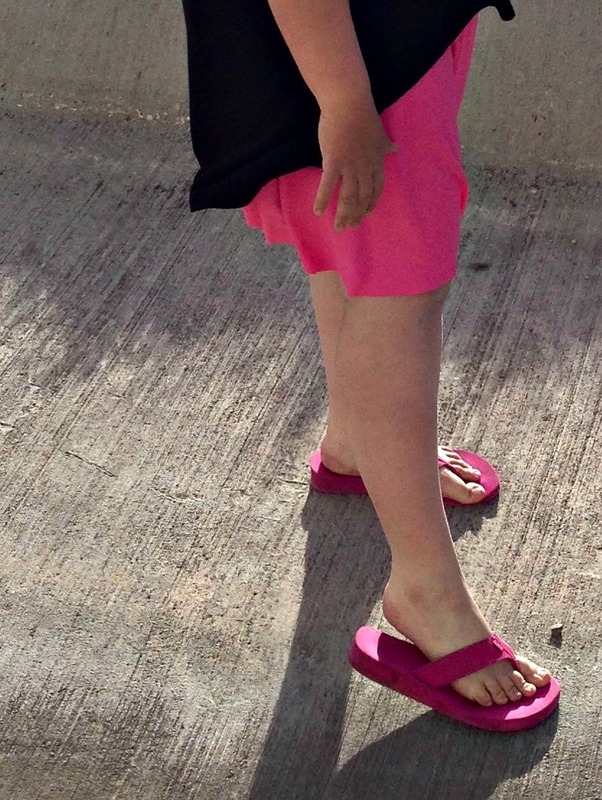 I found a 2-ish yard remnant of some hot pink polyester at the thrift store - polyester isn't normally my fabric of choice, but this has wonderful drape! - and I believe I have enough left over for a matching skirt for my oldest daughter, if she decides she wants it. I rarely wear skirts, partly because in the Wyoming wind they're a hazard ;) but really I'm just a jeans-and-tee shirt girl. But this skirt is just as easy and comfy to style as a pair of jeans - it can be dressed up, sure, but I could throw this on with a tee (and probably a pair of shorts under, heehee) and be perfectly happy all summer! I cut the 2x waistband (though my measurements put me closer to a 4x for the waist) out of black cotton lycra, in the yoga width. Here's a terrible "selfie" I managed, but it shows that pulled up, it makes a wonderful "control top" for early-mid pregnancy. There are also maternity cut line options for wearing under a baby belly included on the pattern, which I'll definitely be utilizing later on this summer!! I'm not normally one to sew for myself (or model for a camera), but this skirt is so effortless that I didn't mind at all. I put the whole thing together with my serger, and from start to finish, pattern included, it took me less than half an hour! You can't beat that, and it's encouraged me to put aside that teeny bit of time to make something for ME! I especially love how this skirt can be made in almost any fabric, so it's easy to make for special occasions or for running around with the kids. Versatility is very important in a mom's wardrobe, and the Capsule Skirt has all kinds of it. 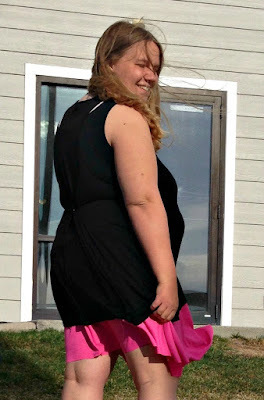 The length is perfect - when the wind isn't blowing it up, it hits just around the knee, which is the ideal comfort length for me. There's just enough flowiness to the lines of the pattern while still maintaining a feeling of coverage - plus there is an option to cut a longer back piece! Kymy really thinks about all the possibilities for comfort with her patterns, and for someone like me who doesn't step outside a certain "clothing comfort level" often, that's so important. Let's sum up - three cut line options (regular, long, maternity). Pockets? If you wish! Two waistband options. Fit and comfort and style - all perfected. Fabrics? Almost anything you can think of! Occasions? Anywhere, anytime. Don't forget to pick up your copy of the pattern while it's on sale! 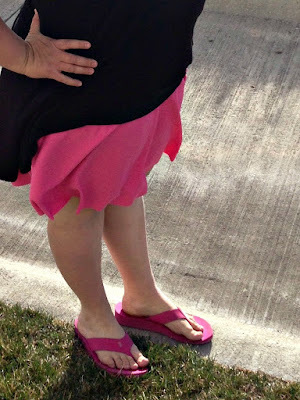 Use coupon code PERFECTSKIRT to save 25% on the Women's Capsule Skirt, Girl's Capsule Skirt, or Capsule Skirt Bundle until April 12 at 11:59pm PST.